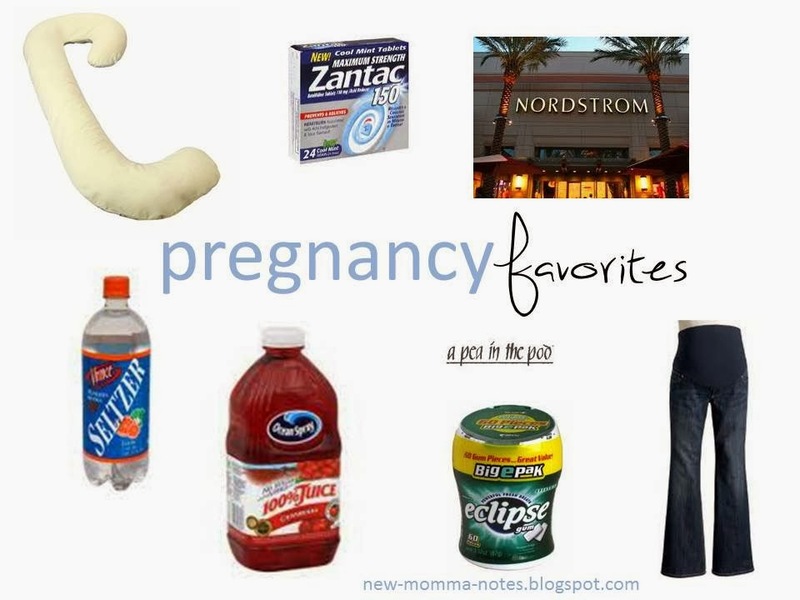 Looking back on my pregnancy here are a few of my pregnancy must-haves. Snoogle Pillow- must have for any pregnant lady. it supports your belly, your back, keeps your legs from sticking together and also takes up so much space in bed so you get all the space you need. It's ok, with everything our bodies are doing, hubby can stay put on his 1/3 of the bed! Zantac- holy heart burn! i can't even pin point the culprits (although chocolate may have been the worst)...for the second and third trimesters pretty much anything I ate, almost every day I was downing a Zantac and it worked! TUMS only worked for a few weeks...then i moved onto the real stuff- Zantac. couldn't have lived without it. Lingerie department at Nordstrom- with every part of your body growing, you need some expert advice/ fitting and these ladies at Nordstrom are the best. I went 3 times during my pregnancy. It's amazing how much better you feel when you have a bra that actually fits! Old Navy Maternity Jeans with the full panel- I know they aren't glamourous or very fashion forward. But they are comfortable and don't fall down! I ordered and returned Paige Premium maternity jeans and it just seemed silly to spend $200 and then get them hemmed, when this Old Navy pair was like $20 and fit like a glove...even as my belly grew! My first trimester tricks to get through the nausea: Flavored Seltzer water...the perfect little fizz bubbles in this calmed my stomach with just a hint of flavor and no sugar! Cranberry juice- at around 10 weeks I couldn't stand the smell of coffee and I substituted cranberry juice (I saw Rachel Zoe drinking cranberry juice when she was preggers...and it looked so yummy...come on, if Rachel Zoe drinks it, it's gotta be good!) Eclipse gum or mints- I always had these in my desk drawer for when the nausea hit (all day)! 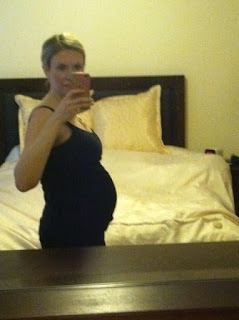 My fave tip for soon-to-be new moms-- schedule a haircut for 2-3 weeks before your due date. 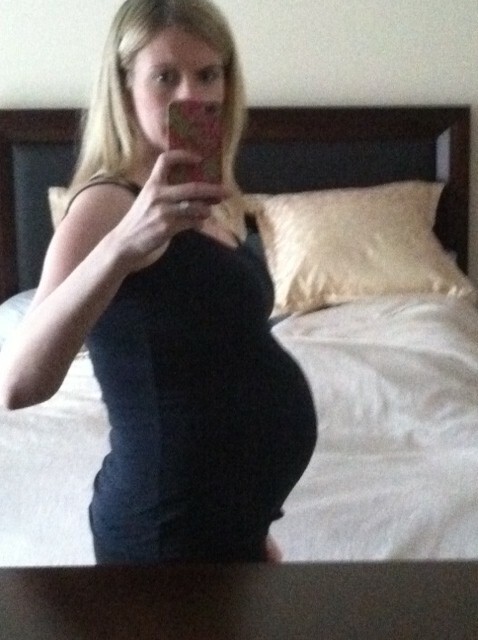 I didn't do so and had to wait 2.5 months til I could coordinate an appt, childcare, etc! big mistake! Also, get a pedicure near your due date too. Who couldn't use the foot massage and while you're in the hospital and not feeling your best, at least your toes will look good! I got lots of compliments from the nurses.